Houma, Lousisiana- Once upon a time he was a thug rapper known as C.T. otherwise Crunch Time of Da Rados. After some time performing with them for some time, and a near fatal auto accident almost took his life, C.T.’s outlook on life was permanently altered, and after a couple years of recovery and recollection he returned to his passion, music, with a while new style, and under a while new moniker. Today he goes by LamiGs Musico, and while the name and genre are different, the talent remains top. 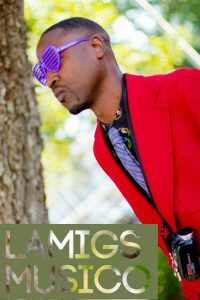 Whith a sound somewhere between the modern ways of Future, and the vibe of T-Pain, LamiGs Musico delivers what he has dubbed his “urban perspective,” only with a twist of sincerity that provides a humble overall demeanor. This can be found on his latest release “LOVE Is My Drug” A song he hopes will be a fan favorite far and wide. LamiGs shows what he can do and then some with this release. 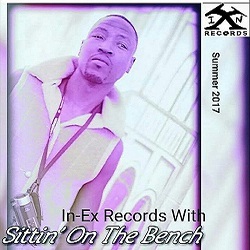 “LOVE Is My Drug” and his first release “Heard About You” is just the tip of his musical iceberg as his prepares to put the finishing touches on his upcoming release with In-Ex Records from the U.K. for Summer 2017 “Sittin’ On The Bench”. Shedding his emcee shroud as he did that in the past, he’s evolved into an urban R&B artist with ease. Music is and has always been a passion for LamiGs , but he also hopes to venture into the business realm and own a company as expansive as Sony. Those interested in LamiGs Musico can check him out online or at the Fremont Street Experience in Las Vegas, Nevada or get in touch with him via the information below. About: LamiGs Musico is a thug rapper turned Urban R&B artist with a new single “LOVE Is My Drug” which can be found on his soon coming album DO IT BETTER. He’s also on Facebook, Instagram, Twitter, Patreon, Bandcamp, LinkedIn, and more. See what he has to offer.